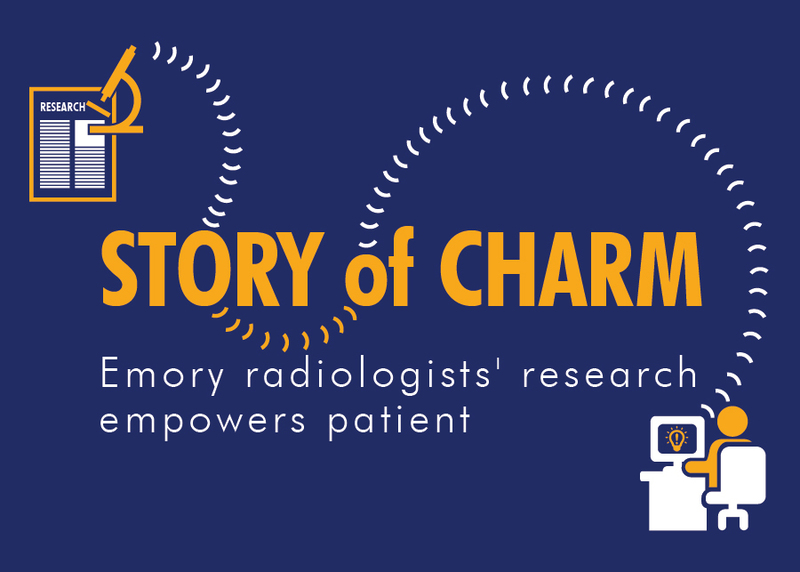 When four Emory radiologists' published an article about their brain imaging research in 2012, they had no idea how powerful it would become for a patient hundreds of miles away. They found out nearly four years later, when lead author Ashley Aiken, MD, associate professor and neuroradiologist, received an email from Kathy (full identity withheld to protect patient privacy). “I wish I had come across your research months ago,” Kathy wrote. She then described in a shorthand only a doctor could understand how she was diagnosed in 2009 with Chiari 1 malformation, a rare condition when the skull is abnormally small or misshapen and forces brain tissue, called cerebellar tonsils, to extend into the spinal canal. After years of symptoms and two more MRIs, Kathy was told to have decompression surgery. A sudden psoriasis outbreak postponed the surgery, which was when Kathy came across the research article. Making the right diagnosis is essential because treatment for the two conditions is very different. Chiari 1 responds well to decompression surgery. First-line treatment for IIH, however, is not decompression surgery, but, rather shunting to drain cerebrospinal fluid buildup. These differences mattered a great deal to Kathy, who read the article on-line and went back to her doctors, who then determined her case more accurately fit IIH.